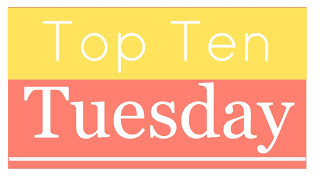 Top Ten Tuesdays meme is hosted by The Broke and The Bookish and this week’s theme is the characters we’d name childre/pets/plants after. 2. Tyrion: One of the best characters from A Song of Ice and Fire by George R.R. Martin, he has quite a charismatic name. It sounds old school too. 4. Arya:My fav character from A Song of Ice and Fire, I’d name a daughter after her. 5. Rand: I’d name a second son after Rand from The Wheel of Time, for sure. 1. Nighteyes: What better name for a wolf-like dog than the beloved wolf character from Farseer Trilogy by Robin Hobb? 2. Sirius: If I had a huge black Lab, I’d name him after Sirius black from Harry Potter. How un-original of me, but that was my favorite character and the name is just fitting. 3. Justice: I think I’d name a Pitbull after Jorg and William’s dog from The Broken Empire by Mark Lawrence. 4. Wichtig: If I had a spoiled horse, I’d name it after the self-worshipping swordsman from Beyond Redemption by Michael R. Fletcher. 5. Nakor: If I had another mischievous kitty, I’d name it after this unforgettable and awesome funny dude from the Riftwar Saga by Raymond E. Feist. What is your top ten? Share in the comments! That’s so adorable! I bet she’s adorable like a little elf princess. I’d consider Manchee from The Knife of Never Letting Go, as that dog deserves to be a namesake. I’d also consider Falkor from The Neverending story. Arya made my list too! I love the name! Sirius would be a perfectly fitting name for a dog wouldn’t it! It’s a great name indeed! I named my dog Strider. I pushed for Hopper but my wife didn’t like it. Hopper would be great. Strider is Aragorn’s nickname so it’s a winner! I love the name Miriel, and other versions of it. It’s so pretty and feminine. Great list! Nighteyes!! How could I not add it to my list 🙂 Such a great character and awesome book series..
We do have a little boy called Tyrion in the family 😉 Really fits him well! Oh, Sirius is nice. I had a cat named Remus once.